The SoCalCross Prestige Series, often referred to as the Nation’s biggest cyclocross racing series, bursts onto the scene this Sunday, September 27, 2015 at Verdugo Park in Glendale, California. The series features 14 weekends of racing stopping in San Luis Obispo, San Diego County, Orange County, Los Angeles, and the Inland Empire highlighting some of the most historic and beautiful parks in the region. Cyclocross is the most spectator and beginner friendly form of bike racing and the SoCalCross Prestige Series caters to everyone in the community, especially those who are new to or have never tried cycling. Aside from ringing cowbells and cheering racers from around the course, family friendly activities include free Kiddie Cross races for kids, Community Cross Fun Races and Clinics and vendors to peruse. Kiddie Cross is free and all participants receive an award. Community Cross Fun Races and Clinics offer a chance for anyone to learn about cyclocross and try a beginner friendly race on a short course. For those who are ready to get their feet muddy, the First Timers Race is 1 lap on the race course. Demo bicycles are available to those who would like to try the sport (please reserve in advance). 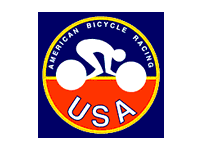 Starting this weekend, Juniors, Masters and Amateurs and Elites will test mettle against the best in their own categories grasping for a berth on the start line of the 2016 National Championships. With more teams, more racers and a growing audience, the competition will be hot. In November, CXLA at Griffith Park packs two days of Internationally sanctioned races. The Nation’s and World’s best male and female ‘crossers will converge in Southern California once again to test their earn precious UCI points (Union Cycliste Internationale, the International governing body of cycling) in the battle for World Cup and World Championship start positions. 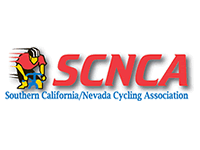 SoCalCross has drawn big names such as Katerina Nash (LUNA), Adam Craig (Giant Bicycles), Tim Johnson and many, many others. 2015/16 will be no different. 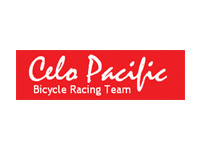 This weekend’s race begins the Series on the racers’ favorite course at Verdugo Park in Glendale, CA. Notable venues fill the calendar and includes Camp Pendleton in Oceanside where racers dip their toes in the Pacific Ocean for Storm the Beach. The SoCalCross series is brought to you by generous support from Knobbe Martens, Voler, Jenson USA and CLIF Bar. For more information, registration, sponsorship and schedules, please visit the the SoCalCross web site atSoCalCross.org. 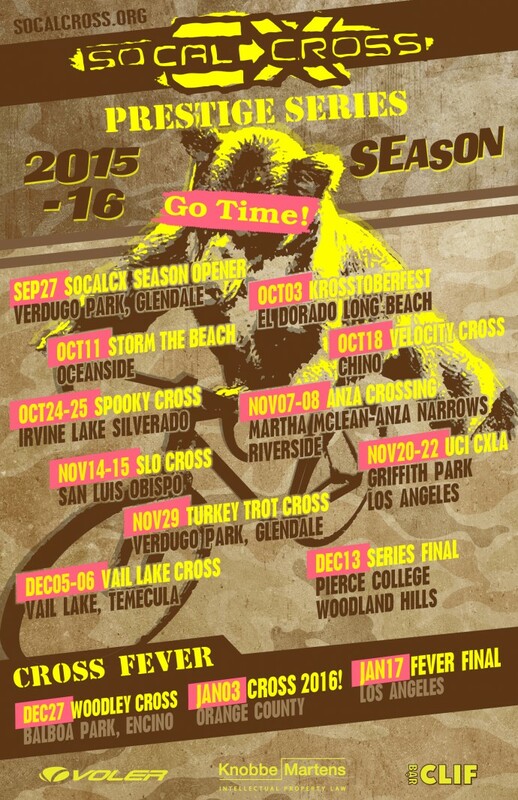 The 2015 / 2016 Cyclocross Calendar is featured on SoCalCycling.com. 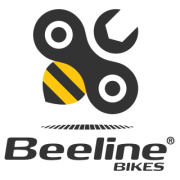 Check back to SoCalCycling.com’s Event Calendars for more great events, including competitive Road, Mountain Biking, as well as Fun Rides and Gran Fondos!